Choose a Theme and Join the Parade! 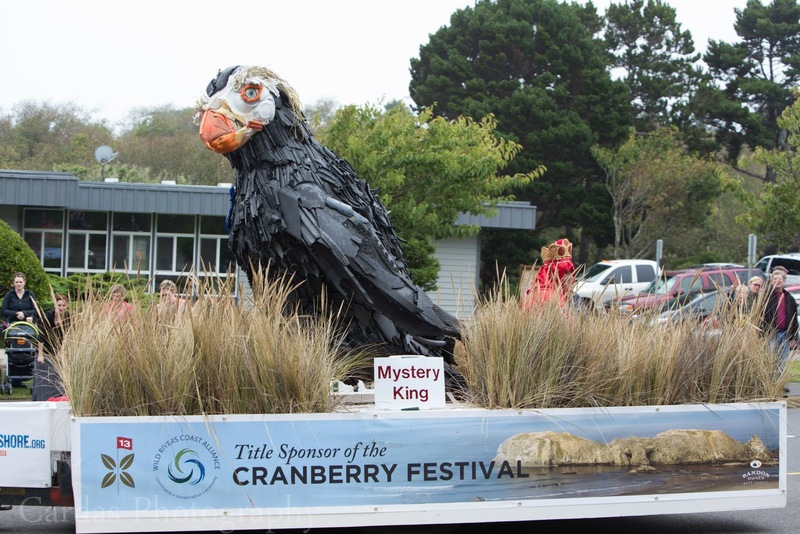 Take a walk down memory lane in the 70th annual Bandon Cranberry Festival titled, “Cheers to 70 Years: A toast to seven decades of Cranberry Festivals.” Festival events start Friday, September 9 and continue through Sunday, September 11, 2016. Got an old festival parade float sitting in your garage or barn? Now’s the time to dust it off. This milestone festival invites local businesses, service clubs and organizations to parade through town Saturday morning decked in regalia reminiscent of any festival theme from the past seven decades. “You could be the first in festival history to win twice with the same float,” said Anthony Zunino, chairman for the festival committee. Zunino looks forward to an eclectic revival of past themes. Since any decade is up for grabs, parade organizer Rushel Reed hopes to see some mid-century glam, such as 1940s gangster zoot suits. Early festival organizers didn’t assign theme titles until the 11th festival, in 1957, with “Songs of the Sea.” The following decades saw numerous coastal titles about the sea, surf, the ocean and boating. Several theme nominations evoked a holiday mood: “Vacation Time,” in 1959, “Cranberry Carnival” in 1972, “Mardi Gras” in 1975 and 2003, and “40th Cele-Berry-Action” in 1986. Groups are encouraged to register parade entries in advance. Categories include band or music, float, vehicle, and animal. Parade judges award ribbons in each category, plus a Grand Marshal best of show award. Visit the Cranberry Festival event pages for information and registration forms. Our list of past Cran Fest themes isn’t quite complete, and we’d like to fill in the blanks. If you know any of the missing titles, please contact the Bandon Chamber.